James Dunn is regarded worldwide as one of today's foremost biblical scholars. Having written groundbreaking studies of the New Testament and a standard work on Paul's theology, Dunn here turns his pen to the rise of Christianity itself. Jesus Remembered is the first installment in what will be a monumental three-volume history of the first 120 years of the faith. Focusing on Jesus, this first volume has several distinct features. It garners the lessons to be learned from the -quest for the historical Jesus- and meets the hermeneutical challenges to a historical and theological assessment of the Jesus tradition. 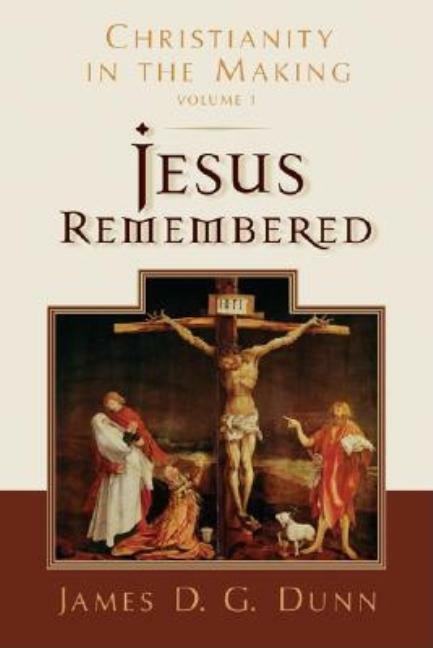 It provides a fresh perspective both on the impact made by Jesus and on the traditions about Jesus as oral tradition -- hence the title -Jesus Remembered.- And it offers a fresh analysis of the details of that tradition, emphasizing its characteristic (rather than dissimilar) features. Noteworthy too are Dunn's treatments of the source question (particularly Q and the noncanonical Gospels) and of Jesus the Jew in his Galilean context. 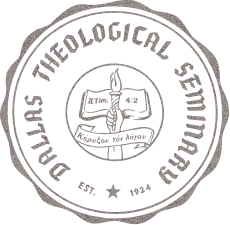 In his detailed analysis of the Baptist tradition, the kingdom motif, the call to and character of discipleship, what Jesus' audiences thought of him, what he thought of himself, why he was crucified, and how and why belief in Jesus' resurrection began, Dunn engages wholeheartedly in the contemporary debate, providing many important insights and offering a thoroughly convincing account of how Jesus was remembered from the first, and why. 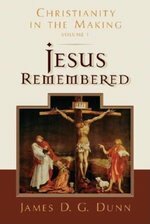 Written with peerless scholarly acumen yet accessible to a wide range of readers, Dunn's Jesus Remembered, together with its successor volumes, will be a sine qua non for all students of Christianity's beginnings.